Compliant or Not? What’s the difference between compliant, noncompliant and semi-compliant balloons? 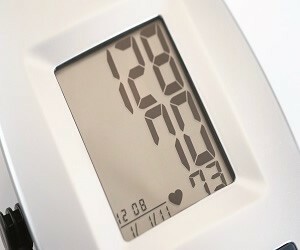 Compliant medical balloons expand as internal pressure increases. Used to occlude or expand tissue, or to hold a device in position. Non-compliant and semi-compliant medical balloons expand to one specific size or size range, even as internal pressure increases. Used to apply force or occlude. Compliant medical balloons are often produced from silicone due to its biocompatibility and because its tensile and elongation properties allow balloons to expand as internal pressure increases. There are three processes used to manufacture compliant silicone medical balloons: extrusion, molding and dip casting. Process and material choice will depend on your design and application requirements. 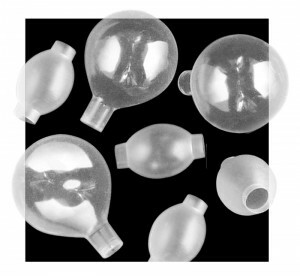 Extrusion is a good process choice for producing low-profile silicone medical balloons that are round when inflated and are used to fixate a device. The walls of extruded balloons generally fall in the range of 0.015″ to 0.020″. The medical balloon extrusion process limits your material choices to high-consistency silicone rubbers. Poor concentricity and cosmetic issues can result in asymmetrical expansion or reduced burst pressure. To ensure uniform quality of your extruded balloons, choose a manufacturing partner that precisely controls concentricity and cosmetics in silicone extrusion. Molding allows for greater design flexibility than other silicone medical balloon manufacturing processes. Liquid silicone rubbers (also known as LSRs or LIM materials) are preferable to other types of silicone, as their viscosity allows them to be molded into thin cross sections. In the molding process, balloons are formed around cores in the center of mold cavities. The balloon is removed from its core after molding. The tensile properties and elongation of the material, as well as the thickness of the wall, limit the minimum vs. maximum diameter. A typical rule of thumb is 4:1. The shape of a molded balloon is virtually limitless, but the size is limited by the distance uncured silicone can be injected into the thin cross section of a hot mold. Molding under vacuum provides improved quality control, especially when molding balloons with unique profiles or convoluted cross sections. Choosing a supplier with experience in mold design and molding process control is critical for producing consistent wall thickness with high production capability. Dip casting is the preferred method for thin walled or large balloons and produces balloons without parting lines or flash. In the dip casting process, a mandrel is submerged into a dispersion of silicone rubber, so there’s no limit to how far material needs to be pumped. Like molded balloons, dip-cast balloons need to be removed from a mandrel. The physical properties of cured silicone dispersions allow for greater minimum vs. maximum diameters of 5:1 or more. The desired thickness or thinness of the balloon wall is achieved by controlling dispersion viscosity and the number of coats, and can reach 0.08″ (2.0mm) if required. Understanding the nuances of dip casting and how to control this process are critical to achieving consistent wall thickness and expansion performance so choose a supplier with extensive experience in this technique. Don Centell, Vice President of Engineering, Vesta Thermoplastics Division, oversees the engineering department, including manufacturing, research and development, and new technologies. He also serves as a strategic resource for determining growth opportunities and for managing customer expectations. During his 21 years in the medical device industry, Don has developed significant expertise in working with thermoplastics, multilumens, balloons and tight-tolerance tubing at companies such as BSC/Fremont, B. Braun Medical and Guidant Corporation.